mommy bytes: Crochet Mini Stocking POP! 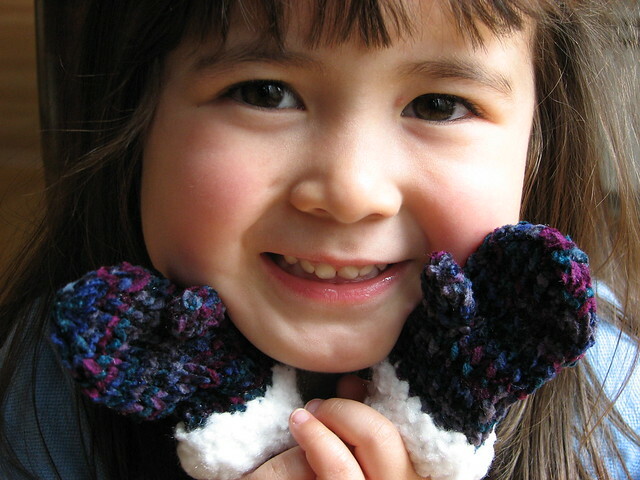 Eight years ago, I embarked on a pursuit to create hand-knit ornaments as gifts. That lasted exactly two pairs of mini-mittens, which both ended up on our Christmas tree. Yes, that's chubby Dova 8 years ago! 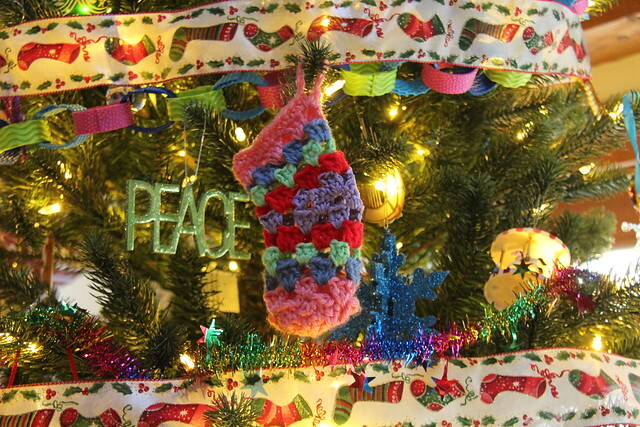 I gave up the notion of giving away hand-knit ornaments, but when I saw the Mini Stocking POP! pattern by Vickie Howell on Jo-Ann fabrics for crochet stockings, I was more than game to add to our own knit ornament collection. Their pattern calls for two colors, but I simply used all the colors from the extra yarn for Dova's Crochet American Girl doll blankets and came up with the one you see here. It was fun and easy to make, a little weird around the heel, but no one's going to wear it, so no matter!